A multifaceted Production ~ A movie NOT to miss! Tell your friends, family and EVERYONE you know! Offering solutions to the 21st Century Madness! 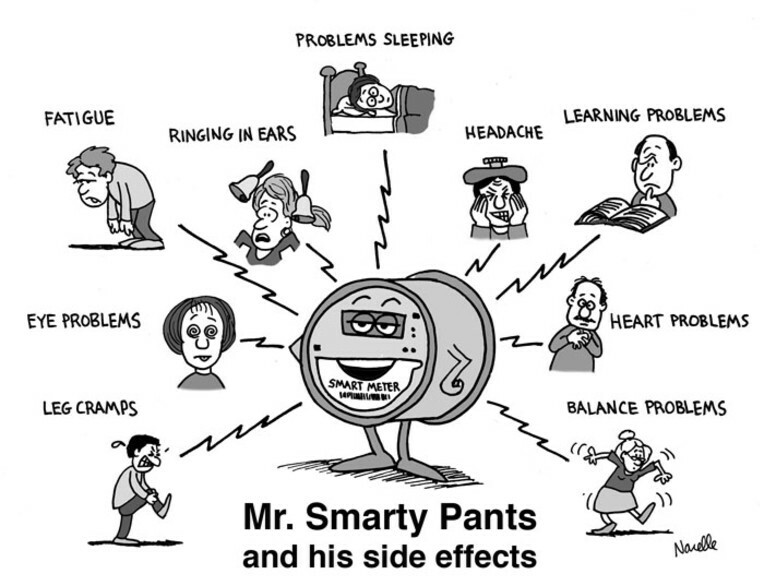 Do you have a “Smart Meter” on your home? if “no”, you will have one soon cuz they won't be asking your permission! and sometimes against protests of the property owners. This film uncovers alarming issues about health hazards, increased utility rates, privacy, property rights, and vulnerability issues inherent in the “smart” grid. Please take the actions suggested below before you contact us. IF YOU HAVE AN ANALOG METER LOCK IT UP NOW! Electric, water and gas utility companies and municipalities in NYS are replacing safer mechanical analog meters with dangerous electronic meters (also known as "smart," Advanced, digital "Opt-out," AMR, ERT and AMI), without our permission. These meters are a public health, privacy and electrical fire safety hazard. The NY State Public Service Commission and utility companies know about the dangers but continue to force this expensive meter debacle on an unknowing public while falsely claiming the meters are safe and "green." IF IT IS NOT AN ANALOG METER IT IS NOT OK! Don’t let ANYONE tell you otherwise. There are also “stealth” or “Trojan” meters that appear to have an analog face, but behind that is a transmitting ELECTRONIC utility meter. These are being reported where Con Edison is the utility. Analog meters do not contain any electronic components, are not flammable, do not collect data and do not transmit radiofrequency radiation. Utility meters that contain electronic components are energy intensive, privacy invading, a security and electrical fire threat and expose the public and the environment to extreme levels of radio frequency and electrical radiation. This toxic exposure is causing health effects including heart palpitations, insomnia, ringing in the ears, anxiety, nausea, dizziness, tingling in extremities, memory loss and more. CONTACT YOUR NY STATE SENATORS AND ASSEMBLY MEMBERS NOW! TELL THEM THAT YOU WANT ANALOG METERS AND NOT DANGEROUS ELECTRONIC METERS! 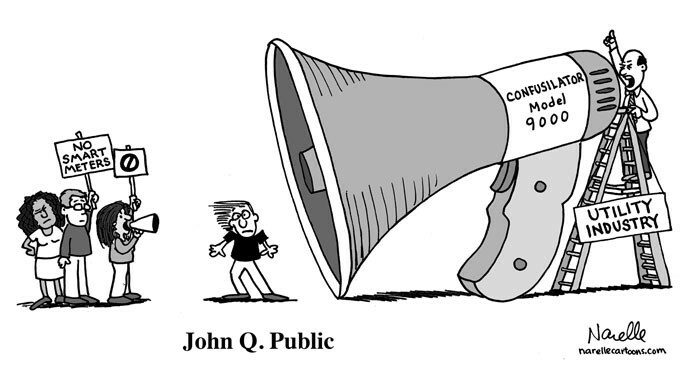 WE HAVE REASON TO BELIEVE THEY ARE LISTENING BUT WE HAVE TO KEEP CONTACTING THEM! to investigate both the NYSPSC's response to consumer complaints about electronic meters and its approval process for electronic meters. 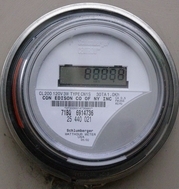 to request that the NYSPSC require utility providers to offer analog meters that have no health, fire or privacy risks. Let them know that you want only an analog meter. Gift the award-winning documentary TAKE BACK YOUR POWER to your elected officials and friends and hold a neighborhood screening and check their "Solutions" page. E-mail or mail a copy of "AN OVERVIEW OF SMART METERS" to your elected officials. STAY AS FAR AWAY FROM ALL ELECTRONIC UTILITY METERS AS POSSIBLE including the ones that utility companies tell you are "non transmitting." Keep your pets away from electronic utility meters. Go to www.electricalpollution.com and check out their "Solutions" page. Analog meters are the safest utility meters at this time. They are not flammable, contain NO electronic components and therefore do not have or need UL approval. Analog meters do not transmit radiofrequency radiation or cause fires.They cannot be used by a utility to collect your personal utility usage data for selling to third parties. If you have an analog meter, lock it up! Electronic meters, also known as “smart,” AMR, ERT, PLC, electronic "opt-out," are not safe. Electronic meters are flammable and cause fires. Almost all electronic devices are UL approved - electronic meters are not! Electronic meters transmit dangerous and unprecedented levels of pulsed radiofrequency radiation emissions 24/7 in and around homes, making some people very sick. 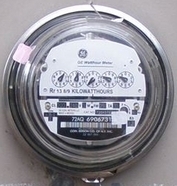 Electronic meters were designed to get rid of meter readers and to collect YOUR personal utility usage data for utilities to sell to third parties. In the mid-2000s, utility companies began a massive effort to replace electromechanical analog utility meters with radiofrequency transmitting electronic utility meters. Utility companies and government regulators, with the support of several large environmental groups, including the Environmental Defense Fund, the Natural Resources Defense Council and the Sierra Club, rushed to embrace electronic utility meters. This was done with no public input. It was done without considering the health, electrical fire safety and privacy risks of imposing millions of electronic communication metering devices on an electrical utility system that was developed with non-electronic analog meters. This paper exposes the reckless decision, by meter manufacturers, utility companies and government regulators to eliminate life-saving electrical safety features from the design of electronic meters. "The meter on your home is an ERT meter that only sends a signal to the processor when the meter reader is in the vicinity to read your meter..."
Have you been offered an "opt-out" by your utility? DO NOT "OPT-OUT" UNLESS YOU GET IN WRITING THAT YOU ARE RECEIVING A PURELY MECHANICAL ANALOG METER! DIGITAL METERS, INCLUDING "OPT-OUT, NON-TRANSMITTING" DIGITAL METERS ARE DANGEROUS AND THEY TOO ARE MAKING PEOPLE ILL.
NEW ELECTRIC, WATER AND GAS DIGITAL UTILITY METERS ARE NOT SAFE, NOT SMART AND NOT GREEN! THESE ENERGY INTENSIVE, NON-STOP PULSING RADIATION METERS ARE MAKING PEOPLE SICK IN NEW YORK AND AROUND THE WORLD! NEW YORK --(BUSINESS WIRE)--Today 190 scientists from 39 nations submitted an appeal to the United Nations, UN member states and the World Health Organization (WHO) requesting they adopt more protective exposure guidelines for electromagnetic fields (EMF) and wireless technology in the face of increasing evidence of risk. These exposures are a rapidly growing form of environmental pollution worldwide. To date, 190 scientists from 39 nations have signed the International EMF Scientist Appeal. 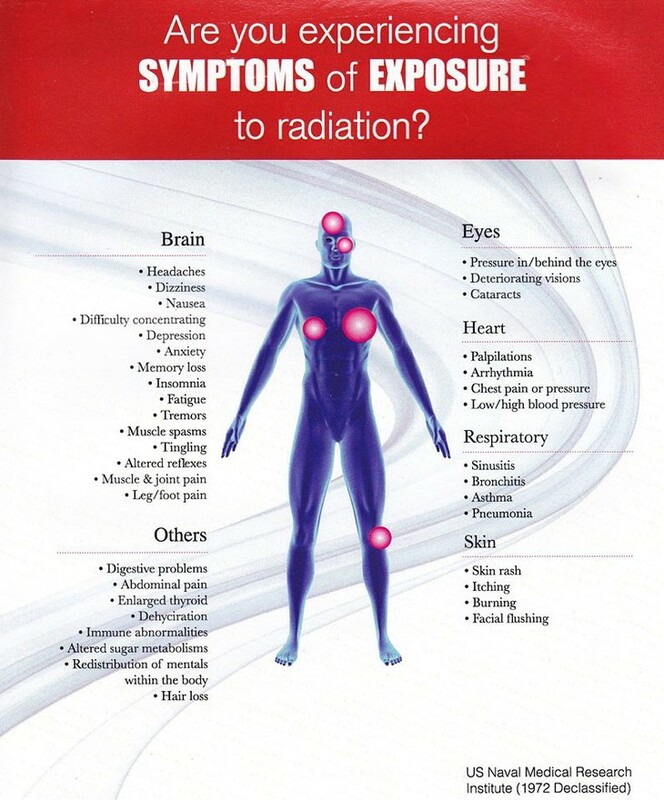 Each has published peer-reviewed research on biological or health effects of non-ionizing radiation, including extremely low frequency fields (ELF) used for electricity or radio frequency radiation (RFR) used for wireless communications. With no government oversight, digital utility meters (DUM) were approved but never tested in real world applications, where these new electronic microwave devices are connected to and interact with an endless array of electrical systems, electronic and wireless equipment, building materials and biological systems, and the extraordinary range of possible conditions of each of these systems. These unpredictable circumstances determine how fast utility consumers get both chronically and acutely injured by the electrical and microwave radiation emissions from DUMeters. 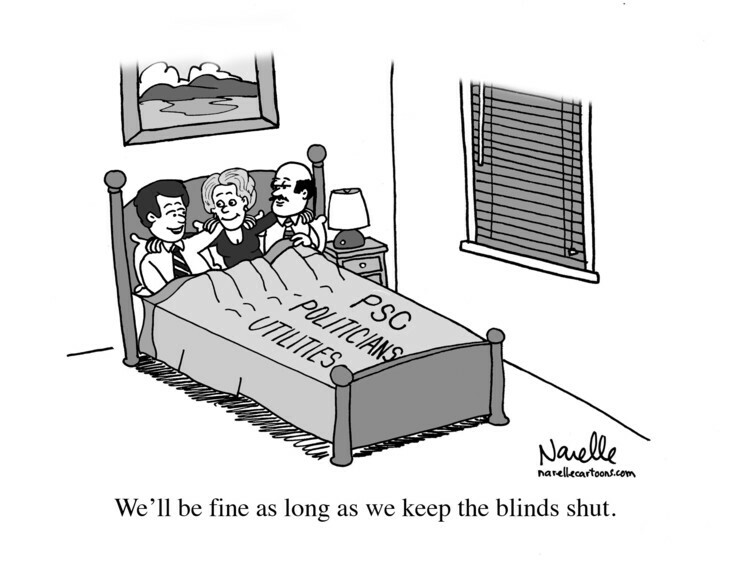 Thank you to the great cartoonist Brian Narelle and the EMF Safety Network for sharing this cartoon! Michael Peevey wrote, “One thought for the company: If it were my decision I would let anyone who wants to keep their old meter keep it, if they claim they suffer from EMF and/or related electronic-related illnesses and they can produce a doctor’s letter saying so (or expressing concern about the likelihood of suffering same). I would institute such a policy quietly and solely on an individual basis. There really are people who feel pain, etc., related to EMF,etc., and rather than have them becoming hysterical, etc., I would quietly leave them alone. Kick it around. And, it sounds like the company may already have taken this step, based on a couple of the comments at yesterday’s public hearing”. FOR WEAPONS AND RADAR AND TO COOK FOOD. NON-STOP PULSED MICROWAVE RADIATION FROM THEIR SO CALLED SMART" METERS? The utility industry's argument that smart (AMR, ERT) meters are safe must be rejected, because they rely for proof of health and safety on FCC testing for radiofrequency (RF) interference, which is not a safety testing protocol. The FCC testing for smart meters is done in an isolated laboratory, divorced from the context in which these meters are intended to be used, connected to the wiring in a home or business. We present below compelling technical and empirical proof that, when these meters are used as intended, they cause an antenna effect, causing great harm to occupants inside their homes and businesses. When used as intended, smart meters that appear to be safe in the testing laboratory are lethal. Please visit DEBUNKING UTILITY to read the full report which includes a link to the Isotrope Report, a link to video footage featuring the antenna effect, and a link to an independent video confirming the RF signal to be a smart meter signal. It appears that utility companies, in an effort to get in front of the tsunami about smart (AMR, ERT) meters they know is coming, are now deceptively offering alternate meters to those seeking the removal of smart meters from their homes and businesses. Be warned that these meters will, and have already, made customers just as ill as the digital meters they are replacing. Utilities may tell you the "non transmitting" digital meter replacement offered does not transmit and is not associated with RF radiation, but they have not proven this to be true. All digital meters, including the replacement "opt-out" digital meters, utilities are offering, are unacceptable. None were ever tested for health and safety. All digital meters being offered at this time rely on poorly designed, untested and dangerous electronic technology. See the following links for information about the switching-mode power supply in these faulty meters. Do NOT accept any utility offers of "non transmitting" digital meters. The only acceptable meter is a mechanical analog meter. Utility companies are seeking to avoid responsibility and to greatly increase their profits by offering these replacement meters. They are charging for their installation and on-going readings. Please call or write to your government representatives (even if you have done so already), and explain that only a mechanical analog meter is acceptable. Forcing someone to pay to avoid being harmed is extortion. Offering someone a digital replacement meter that creates the same dangers as the meter being replaced is fraud. The union representing Memphis Light, Gas and Water Division employees, including meter readers, plans to take its problems with Smart Meters to the road – the side of the road. Nate Guyton of Memphis Light, Gas and Water Division installs a Smart Meter on a house in the Cooper-Young area. Leaders of International Brotherhood of Electrical Workers Local 1288 said Monday, July 8, they intend to put up billboards warning the public of what they say are the dangers of the new meters the utility plans to seek city funding for later this year. The union campaign is similar to billboards the Memphis Police Association used earlier this year to show opposition to pay cuts of two years ago and any future budget cuts. The IBEW’s announcement came at the end of a 90-minute town hall meeting at City Hall Monday evening hosted by council member Janis Fullilove, an outspoken opponent of the meters that can be read remotely and would not require someone to come out to a home or business to read the meter. Fullilove began by noting the absence of MLGW President Jerry Collins or anyone else with the utility at the meeting. She called it “cowardly” on Collins’ part. She also acknowledged the political coalition among opponents, including some tea party members and civil libertarians. Most of the speakers spoke against the use of the meters either because they say they catch fire easily or because they believe they are an invasion of privacy or both. City Council member Myron Lowery, however, pointed out that union assistant business manager Bill Hawkins has a Smart Meter on his home in Olive Branch. Some of the Smart Meter critics at the session included other North Mississippi residents who complained about inaccurate bills and charges. Council member Joe Brown linked the meters to communism. Joe Saino, a former utility board member and frequent critic of the utility and city financial practices, is also allied with Fullilove. She led the opposition to Saino’s appointment to a city pension board early in her council tenure because of his blog critical of the city and the council. “We ought to demand a referendum on this,” he added Monday. RIGHT TO DESTROY PEOPLES' LIVES!